Special Hobby has announced for 2017-2018 a 1/72nd Blohm & Voss BV-155 V-1 kit - ref. SH72340. Too bad the exhaust pipes are moulded to the fuselage sides. This will make painting more difficult. The parts breakdown look to be exactly the same as the one they released some years back. Paint them while the wings are off, then mask them up until it's finished? 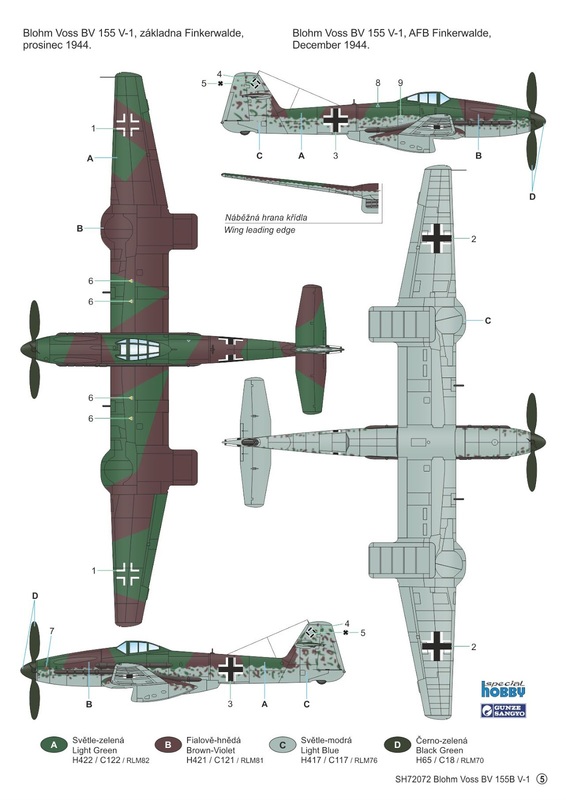 Another boxing announced - ref.72372 - Blohm Voss BV 155 "What If"
Re 'Karawanken' (<-- correct spelling), does that name of a mountain range have any real historical connection with the BV 155 ? Looking at the part for the 209 and the 155 it does rather seem that special hobby are no longer a limited run company, their finesse of moulding looks 10 times better than kits they were producing 3-4 years ago, well done to them i say and the kits are very competitively priced as a bonus . 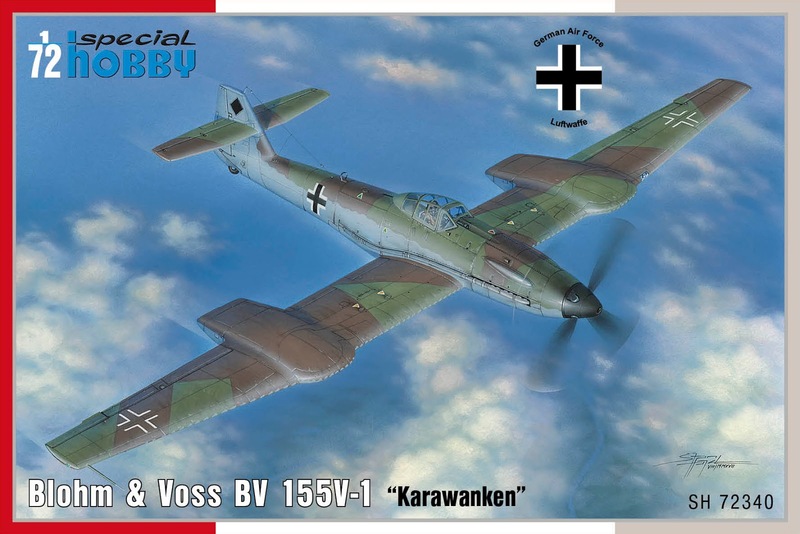 Blohm & Voss BV 155V-1 1/72 (SH72340) is already on sale, you can see the content of the box here. I'd love to get one, but the resin parts put me off, even though they're only two. Expected in February 2019 - ref.72372 - Blohm Voss BV 155B "Luftwaffe 46 High Altitude Fighter'"
Strictly a rerelease. It would have been interesting to have seen the real BV155C as well as the WIffer. Released - ref.72372 - Blohm Voss BV 155B "Luftwaffe 46 High Altitude Fighter'"